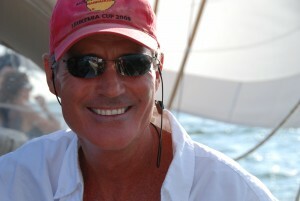 Captain Matt Meadows has been sailing since the mid 1970’s and has taught sailing since the late 1980’s. He has won several national awards for his teaching. His comprehensive private curriculum ranges from Basic Keelboat Sailing to advanced courses such as Coastal & Celestial Navigation and Offshore sailing. During a 1995 transatlantic & Mediterranean sailboat delivery from Florida to Italy, Matt tangled with several hurricanes and gales. He is one of a small and select group of sailing professionals. As an Instructor Trainer for US SAILING, he trains & evaluates candidates wishing to become US SAILING Instructors. This position is reserved for top instructors in the sailing education industry. In addition, he sits on the National Faculty for US SAILING, where he is one of several sailors assisting in developing offshore education programs. While Matt does not advertise an a delivery skipper, his skills are know enough in the industry that he has the opportunity to make several deliveries each year. Some of these trips are within US coastal waters while other deliveries involve international travel. Matt holds a United States Coast Guard, Master Captain’s License. Paul Corey has been sailing since he was a child and has been teaching sailing for almost two decades. He sails keelboats of all sizes ranging from our J-24s through 50ft sailboats. In addition, he owns several dinghy sailboats. Paul has been awarded the ASA Outstanding Instructor of the year for several years. His relaxed manner of teaching brings confidence to any class he teaches. Tayana 52: Delivery: Isla Mujeres, Mexico to Tampa, FL. 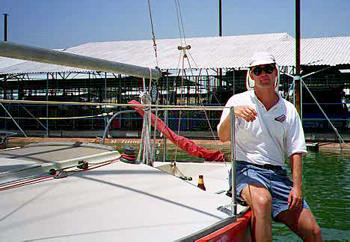 Captain Chris Rousseau started sailing as a teenager with his dad on dingies, catamarans, and keelboats on north Texas lakes and he hasn’t stopped sailing since. He races keelboats and catamarans locally and hits the road for regional, national and world level regattas. His Captain duties take him offshore each year for seaonal yacht deliveries to and from the U.S. East Coast to the islands. Chris also captians charters for folks in the Caribbean and Mediterranean. 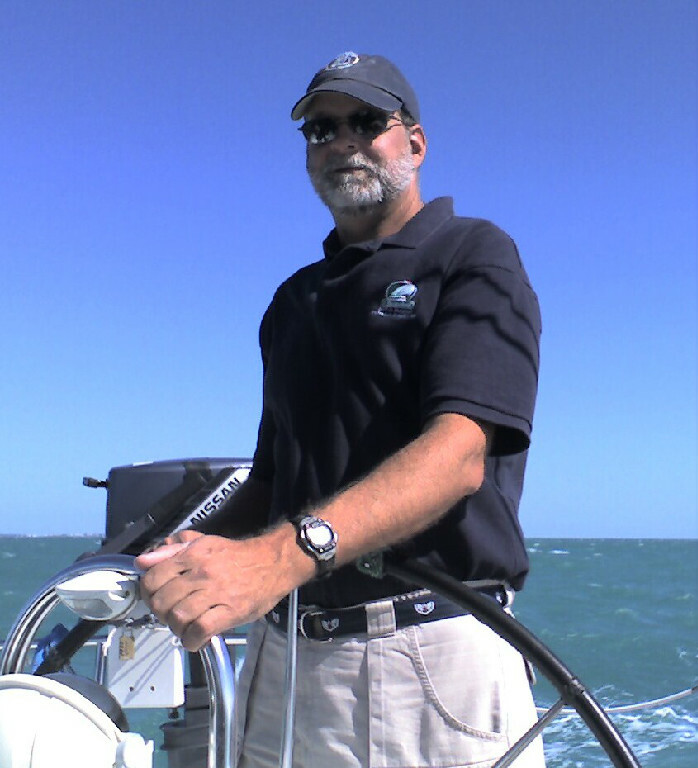 Chris is a USCG licensed captain and a certified sailing instructor. His lighthearted approach and calm demeanor help put students at ease as they learn the ropes.